Online entries are now open and payment details can be submitted online. Please enter online by no later than 6 pm Friday, April 19, 2019. Entries may be accepted after that time at the sole discretion of the Organising Committee. Any entries accepted after that time will be charged an entry fee of US $15 per foot of measured overall length. 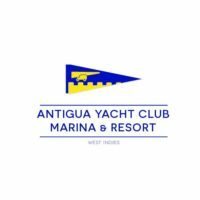 The Committee Desk will be located at Antigua Yacht Club beginning on Thursday, April 25, 2019 and will remain open during the hours specified below throughout the Regatta. There will also be a Protest Desk adjacent to the Committee Desk at Antigua Yacht Club after each day of racing. Registration is mandatory for all entrants including bareboats and will take place at the Committee Desk at Antigua Yacht Club beginning at 9 am on Friday, April 26. Sailing Instructions, class flags, bow numbers, any required advertising materials and any other essential information must be collected at Registration. Please complete registration as early as possible but by no later than 3 pm on Saturday, April 27 to enable Race Officials to finalize class allocations well in advance of the first race of the Regatta. For Antigua Sailing Week’s full week of racing, the entry fee for all classes will be US $11 per foot of measured overall length if paid in full prior to 31st December. The entry fee for payments made between 1 Jan and 13 April is usd 13 per foot. All entry fees paid after April 13, 2019 will be charged US $15 per foot of measured overall length. For the Peters & May Round Antigua Race, the entry fee for all classes will be US $4 per foot of measured overall length. Paid entries withdrawing on or before April 19, 2019 will receive a refund of the entry fee, less a 20% administration fee. Entries withdrawing afterApril 19, 2019 will not receive a refund except in exceptional circumstances at the discretion of the Organising Authority. We encourage online payment of all entry fees with Visa, MasterCard or PayPal. 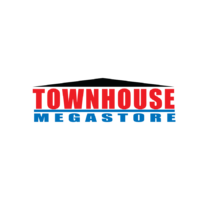 Entry fees may also be paid at the Antigua Sailing Week office upstairs at Harbour Walk on the road to Nelson’s Dockyard, open from 9:00 am to 5:00 pm Monday through Friday year round. 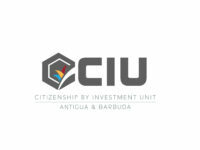 Payment in person may be made by cash (US dollars, Pounds Sterling, Euros and EC dollars), cheques drawn on Antiguan banks, Travellers’ Cheques, Visa or MasterCard. Cheques drawn on Antiguan banks must be made payable to Caribbean Sailing Events Inc. Note: A fee of US $100 plus any bank charges will be levied on all payments returned for whatever reason. All boats in the CSA Monohull classes must have a valid 2019 digitally-certified CSA rating certificate. All boats in the CSA Bareboat classes must have a valid 2019 digitally-certified CSA bareboat certificate. All multihull entries must obtain a multihull rating by contacting the Regatta Measurer at rating@pouthier.eu by no later than 12 noon on Wednesday, April 24, 2019 in order to race. All information submitted is subject to verification by the Regatta Measurer. Boats requiring CSA measurement in Antigua should contact either of the CSA Official Measurers listed below by no later than 12 noon on Wednesday, April 24, 2019. Bareboat charter companies will take care of obtaining a rating for all bareboats. Measurement of boats in time for Registration cannot be guaranteed after that time. Full details of CSA Rating Rules and Official Measurers can be obtained from www.caribbean-sailing.com or contact your local CSA Measurer or Antigua Sailing Week Committee at lorna@sailingweek.com. CSA measurement can be done in advance in most islands throughout the Caribbean. 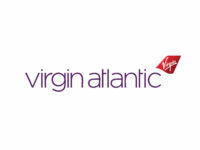 For more information visit www.caribbean-sailing.com. All bareboat entries must comply with the ASW Bareboat Class Requirements. There will be a variety of courses for all classes for each race of Antigua Sailing Week 2019 with several course options for each race to be chosen by the Race Officer immediately prior to the race, depending on the size of boats in the class and current weather conditions. Options will range from very short courses for small boats in light wind conditions, to much longer courses for bigger boats in heavy wind conditions. The objective is to have every boat racing for approximately three to four hours on each day. If there are two races in a day, it is anticipated that the total racing time will not exceed four hours. Sailing Instructions and Courses for Antigua Sailing Week 2019 when available can be found on the Race Documents page. Water and fuel are available in English Harbour at Antigua Slipway; in Falmouth Harbour at the Port Authority Dock, Antigua Yacht Club Marina, Falmouth Harbour Marina and Catamaran Marina; and in Jolly Harbour at Jolly Harbour Marina. A safety boat with paramedic on board, call sign “ABSAR”, maintains a listening watch on VHF Channel 16 during all racing. When calling on the radio make certain you use the word EMERGENCY on your call.